For a long time, we assumed these sorts of things only happened in other places: Tel Aviv. Belfast. New York. Now we know: Canada is not immune. The terrorist attacks in Ottawa on Wednesday morning have shaken our nation in ways not previously experienced. We are vulnerable. Those who would make Canadians “pay” for our desire to see freedom and democracy for all the world’s peoples are among us. In other words, we now live as much of the world lives. We cannot, however, live in fear, for that is what the terrorists want. They undertake their activities in an attempt to terrorize people into succumbing to the wishes of those doing the terrorizing. Many people in the world live in fear because of terrorism, and it is in those places where the terrorists have the upper hand. But not all those living under terrorism live in fear. Consider the Christians in Mosul, Iraq. It is they who live with the most visible sign of terrorism these days. 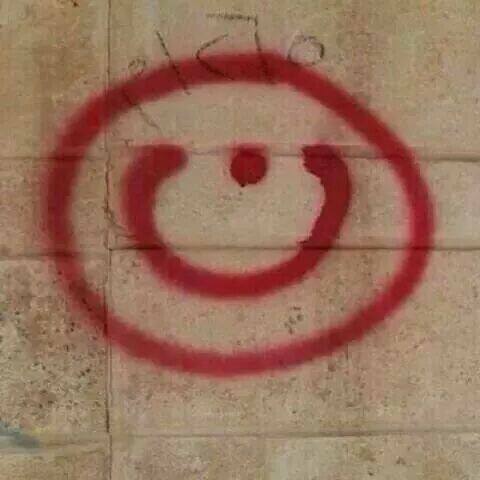 It is they who have the Arabic letter nun painted on their homes by ISIS insurgents who are intent on eradicating the Christian “infidels” from the land they believe is rightfully Islamic territory. If some armed group were threatening to remove you from your home, what would you do? If your answer is “give in”, you’re not like the Iraqi Christians. Not only are they not giving in, there are reports that more people are coming forward to be baptized into the name of the Triune God of grace – even in the midst of overt persecution. “Fear” is not in the vocabulary of these believers. Neither should it be in ours. The days of Christendom, even in good old safe Canada, are gone. To live as an authentic follower of Jesus today is not mainstream. It is, as it always was in New Testament times, counter-cultural. But we serve the God who enabled the prophet Elijah single-handedly to put the prophets of a false god in their place. We serve the God who enabled little David to slay Goliath the giant. We serve the God who brought back from the dead our Lord Jesus Christ. If that sounds a little bit triumphalistic, so be it. The apostle Paul told the Roman Christians, “If God is for us, who can be against us?” (Romans 8.31, NIV). It is this belief that we serve the one true God that has encouraged Christians for over two thousand years. The threat of terrorism – religious, political, or otherwise – is real for us. But we should not fear. Take a few moments and slowly read – more than once, if you can – Psalm 46 (NLT). Allow it to soak through you and fill you with faith in the God who will protect you, who will protect all of his faithful, in the face of whatever may come before us. (When you see the word “interlude”, that’s right in the text; pause at those points and let the words sink in.) Believe what you read, and let that be an encouragement to you…and through you, to others.